Worldwide revenues for the augmented reality and virtual reality (AR/VR) market are forecast to increase by 100% or more over each of the next four years, according to the latest update to IDC’s Worldwide Semiannual Augmented and Virtual Reality Spending Guide. “Augmented and virtual reality are gaining traction in commercial settings and we expect this trend will continue to accelerate,” said Tom Mainelli, program vice president, Devices and AR/VR at IDC. 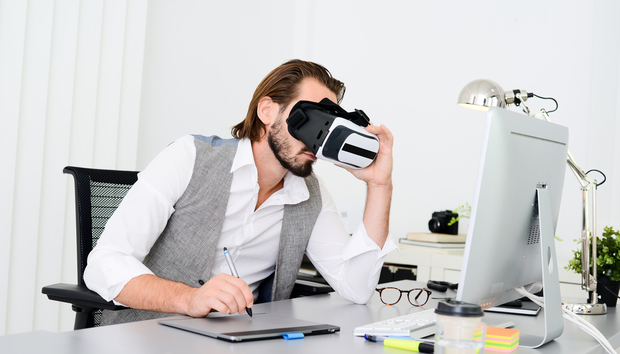 With virtual reality topping the list of fastest-growing freelance skills for Q2 2017, according to freelancing website Upwork, the new VR specialisation from the University of London is definitely timely. Available since 25th September, the specialisation can be booked through subscription company Coursera, consists of five courses and is aimed at beginners. For the initial course, Introduction to Virtual Reality, no prior knowledge is required, though you will need to have basic programming knowledge for the later courses. We spoke with Dr Sylvia Pan and Dr Marco Gillies from Goldsmiths, University of London and creators of the Coursera Virtual Reality Specialisation, to find out more. A lightly edited Q&A can be found below.